External antenna Cable for Hot Shot transmitters and receivers. Sold in 8', 12', 20', 25', and 50' lengths with PL-259 connections or with 1- PL-259 connection and 1- L / Bracket with Hot Shot Antenna NMO mount. Adapts Hot Shot NMO mount to PL-259 connector for using coax cable to connect Long Range Antennas or remote mounting the standard Hot Shot top mount antennas. 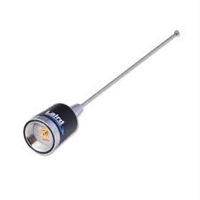 Replacement Antenna for any top mount Hot Shot Transmitter or Receiver. 12v DC ice cube relay, come with relay and din rail mounting base. 24VAC ice cube relay, comes with relay and din rail mounting base. 120VAC ice cube relay, comes with relay and din rail mounting base. DPST Normally Open contact relay with 120vac coil for external switching of 240v or 480v power. Transforms 24vac to 120vac to supply enough voltage to power Hot Shot or Smart Shot system when there is only 24vac present. 12v 2.1ah backup battery for use in Hot Shot Transmitter, Smart Shot Controller, Smart Shot Universal Controller. 12v backup battery for use in the TR-1000. Must have this battery installed in the TR-1000 when it is being used as a transmitter. 5" Magnetic base that come with 17' of coax cable for use with Hot Shot transmitters or receivers. Pump Select Kits can be added on to an 810-T Plus transmitter to allow for the selection of the inputs that will be used for each operation. The switches select any pump or group of pumps that you have for a system by flipping ON the Pump Select switch to include the pump or by flipping OFF the Pump Select switch to exclude the corresponding pump from the pivot’s current operation. Just flipping the Pump Select switch to ON or OFF will not turn on or off the pump. You MUST let the pump control that comes from your pivot’s pump control relay turn the pumps on and off. Refer to the 810-T-PLUS manual for brand specific wiring diagrams. Hand Held Radio that comes with a 12v plugin and is used to listen to audio transmissions broadcast by the Hot Shot Transmitters. 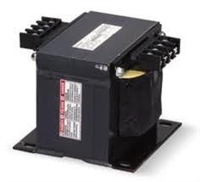 480vac to 120vac power transformer. DPDT relay with 120vac coil for external switching of 240v or 480v power. 12v 12ah backup battery for use in Hot Shot Solar Powered systems. 4' 10" tall single section 4.2dBd gain pole mount Long Range Antenna for any Hot Shot Transmitter or Receiver. Requires an antenna adapter and coax cable for installation. 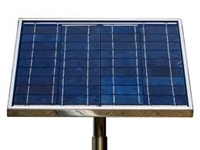 Hot Shot or Smart Shot solar panel for charging battery on a solar powered system. Panel comes with mounting bracket.